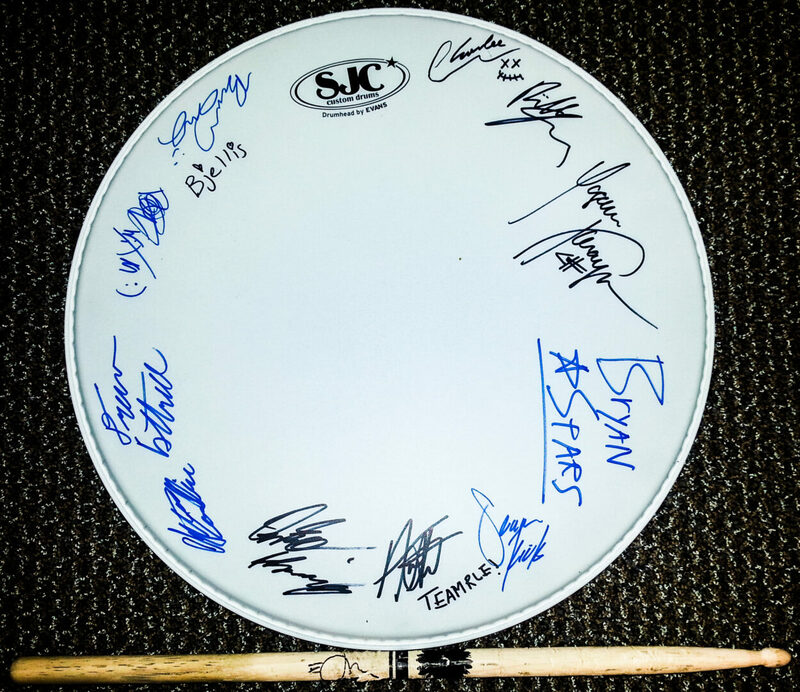 We’re giving one lucky person a one-of-a-kind drumhead from the BryanStars Tour 2012 that is signed by BryanStars, Farewell My Love, Late Nite Reading and Rocky Loves Emily. You can find out how to enter, after the break. -Drumhead signed by BryanStars, Farewell My Love, Late Nite Reading and Rocky Loves Emily. -Drumstick signed by Elliot James (ex- Hey Monday).